If you’re a coach or healer and you’re going to be doing deep work with clients, you may want to let them know about these forms of release so they’ll feel more comfortable if they should experience any of them — especially the ones that are judged by our culture. And when they come up for you, can you be non-judgmental and see them as a positive thing? 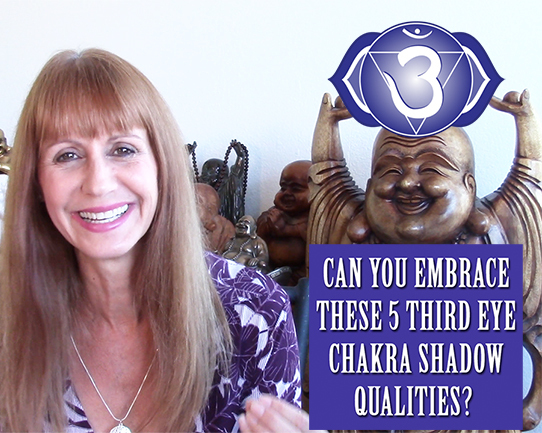 Since we are in the upper chakras on this one, the “negative” or “dark” shadow qualities that I am bringing out here are things that come from the lack of third eye energy. I point out the gift of each shadow quality right too. 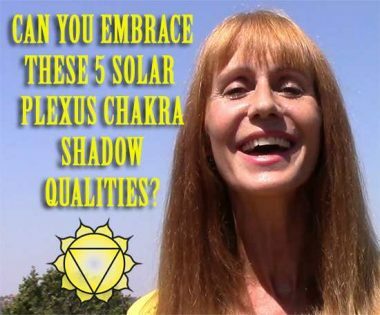 Embracing the gift of a shadow quality is just one of many ways you can begin to integrate that quality into your being for more health and wholeness. The heart is the social chakra. 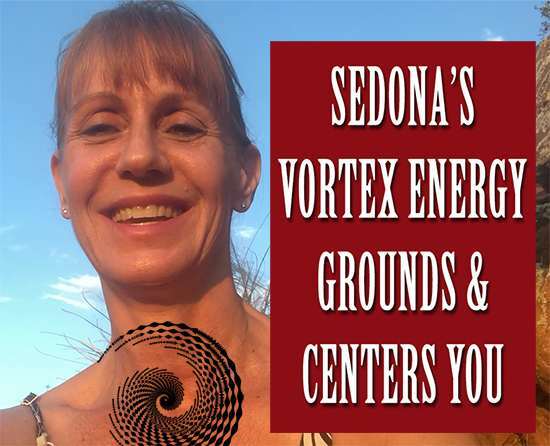 But because taking care of yourself needs to precede taking care of others (if you want to properly take care of others), when the heart chakra focus of putting others first takes over our lives without the healthy solar plexus chakra interest in equally honoring ourselves, we can fall into some odd subconscious, shadow patterns. The solar plexus chakra is the one that gets rejected the most because it’s the independent, “me” centered chakra. And it’s also the warrior chakra — the one that fights — so it can quite literally be a threat to others. It’s also the center of personal power. Without a strong solar plexus chakra, we live our lives as victims and believe that others have power over us, because when we can’t own our own solar plexus shadow qualities, we tend to project them onto others.